Radon is a natural occurring radioactive gas that causes lung cancer. Learn more from your state Health Department!!! Radon is a radioactive gas. It is colorless, odorless, tasteless, and chemically inert. Unless you test for it, there is no way of telling how much is present. Radon is formed by the natural radioactive decay of uranium in rock, soil, and water. Naturally existing, low levels of uranium occur widely in Earth's crust. It can be found in all 50 states. Once produced, radon moves through the ground to the air above. Some remains below the surface and dissolves in water that collects and flows under the ground's surface. 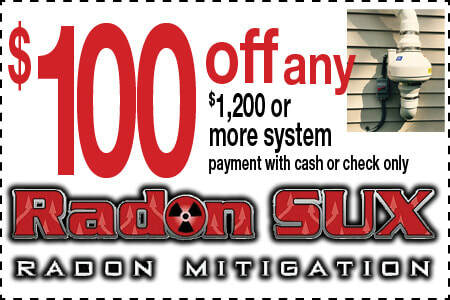 Radon has a half-life of about four days - half of a given quantity of it breaks down every four days. When radon undergoes radioactive decay, it emits ionizing radiation in the form of alpha particles. It also produces short-lived decay products, often called progeny or daughters, some of which are also radioactive. Unlike radon, the progeny are not gases and can easily attach to dust and other particles. Those particles can be transported by air and can also be breathed. The decay of progeny continues until stable, non-radioactive progeny are formed. At each step in the decay process, radiation is released. Sometimes, the term radon is used in a broad sense, referring to radon and its radioactive progeny all at once. When testing measures radiation from the progeny, rather than radon itself, the measurements are usually expressed in working level (WL) units. When radiation from radon is measured directly, the amount is usually expressed in picocuries per liter of air (pCi/L). The Surgeon General has warned that radon is the second leading cause of lung cancer in the United States. There are currently no conclusive data on whether children are at greater risk than adults from radon. No specific subtype of lung cancer is associated with radon exposure. Only smoking causes more cases of lung cancer. If you smoke and you are exposed to elevated radon levels, your risk of lung cancer is especially high. The U.S. Environmental Protection Agency (EPA) provides radon risks comparison charts for people who smoke and those who have never smoked. Stop smoking and lower your radon level to reduce your lung cancer risk. Breathing radon does not cause any short-term health effects such as shortness of breath, coughing, headaches, or fever. In 1998, the National Academy of Sciences (NAS) released the Biological Effects of Ionizing Radiation Report, "The Health Effects of Exposure to Indoor Radon." The study reviewed and evaluated data from many prior studies and drew conclusions. It fully supports estimates by EPA that radon causes about 15,000 lung cancer deaths per year. Though some people debate the number of deaths, it is widely agreed that radon exposure is the second leading cause of lung cancer. Research suggests that swallowing water with high radon levels may pose risks, too, although risks from drinking water containing radon are much lower than those from breathing air containing radon. A NAS report on radon in drinking water, "Risk Assessment of Radon in Drinking Water", was released in 1999. It concluded drinking radon in water causes about 19 stomach cancer deaths per year. EPA provides more information about health effects from radon in their publication, RADON - A Physicians Guide. 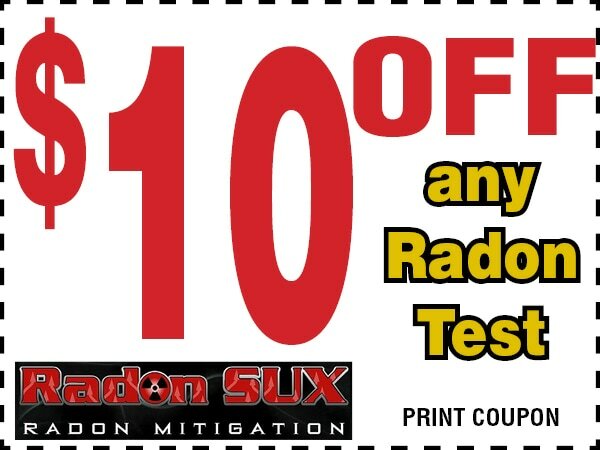 We have been trained in Radon Mitigation. We follow all protocols to assure the best results for you and your family. The test takes a sample of the air and gives a result of your radon levels. This test can be completed in as little as 48 hours. This test will give you your Radon measurement in Pico curies per liter (pCi/L). Pico curies is how Radon tests are measured. A Pico curies per liter is defined as a unit of measure used to express the results of radioactivity tests in air and water. For radon gas, one Pico curie per liter is the amount of radon in the air so that 2.2 atoms of radon decay during one minute in one liter of air. These are some more thorough recommendations from the Iowa Department of Health. Consider performing a long-term test. Perform a second short-term test. Contact MDH before buying second test kit. Mitigation strongly recommended if first test result was also 4 pCi/L or greater. Retest if major changes made to the home. We will meet or beat our competitions quote, if we can't we will give you $50.00!